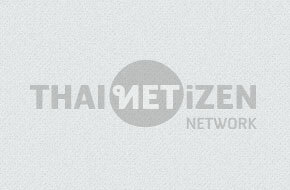 Thai Netizen Network: Request for Clarification Regarding The Arrests of Internet Users Pursuant to the following cases (bold items highlighted by Thai Netizen Network) 1. On 13 October 2009, Department of Special Investigation (DSI) brought Nat Sattayapornpisut, 27, who has been charged with lèse majesté, to the Court to request initial detention. The request to the Court revealed that DSI had earlier requested permission from the court to access information in the e-mail account of one Emilio Esteban, a 46 year-old Briton living in Spain, who has been publishing contents deemed offensive to the throne on his weblog. Police investigation revealed that during the period of 21-23 July 2009, Nat e-mailed links to offensive 3 clips to Emilio, which were the same clips that are published on his weblog. Subsequently, DSI requested arrest warrant from the Criminal Court.